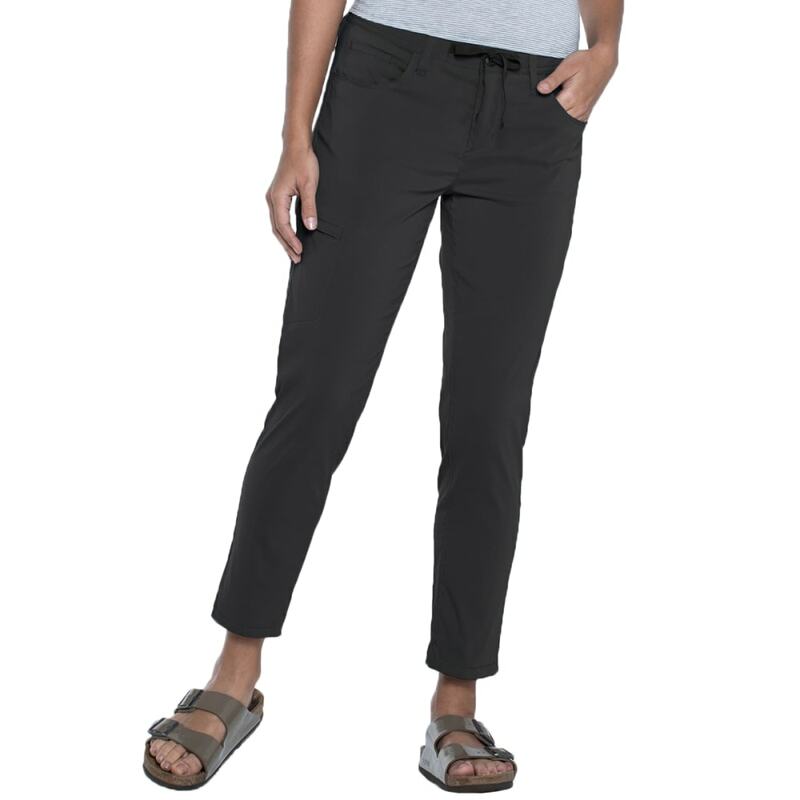 Dress up, dress down, dress all around—the Jetlite Crop Pant has got you dressing the part (without wearing a dress!). 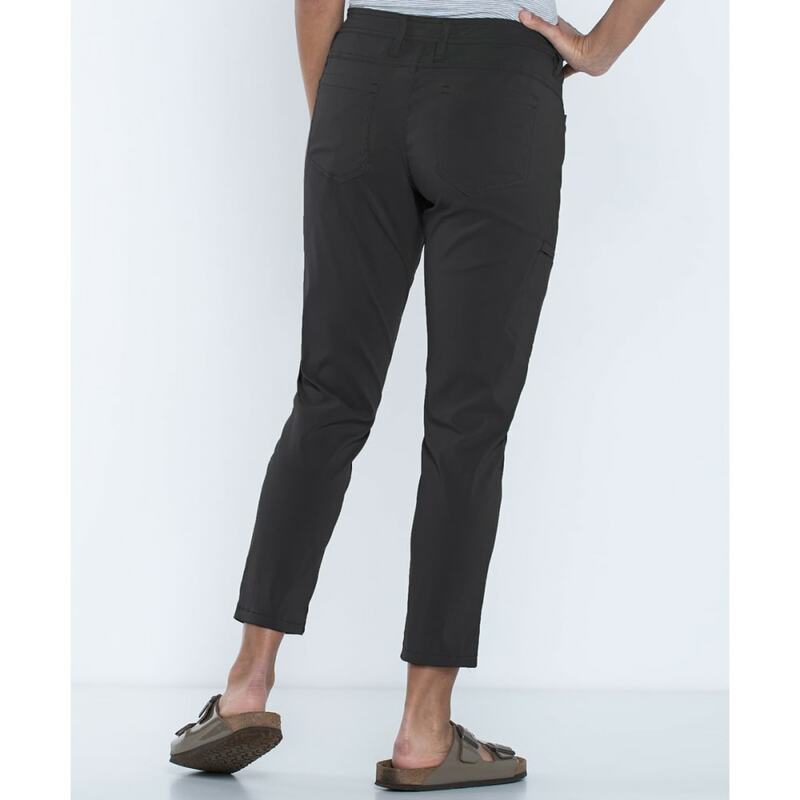 This crop’s gentle drape gives it rare ease and elegance in a world of tailored travel pants. Transition from day to night just by changing your shoes, and bring along what you need in the hidden zip pocket. 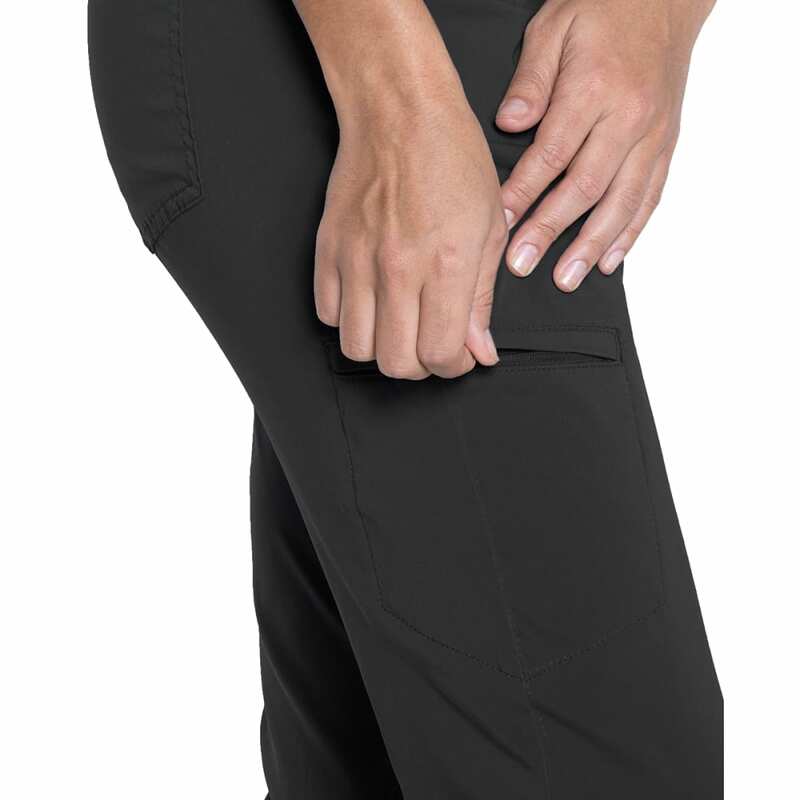 No–fuss, never–clingy polyester and spandex form a stretchy, super–slim, lightweight weave that handles travel, heat and water with ease. This is a bluesign® approved fabric.